OMG. 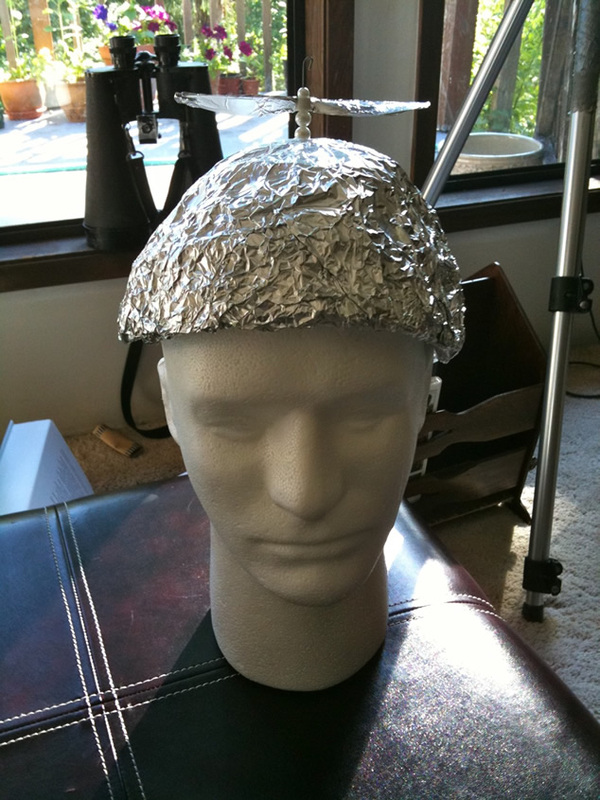 MIT researchers conclude that tin foil hats amplify the government's ability to read your mind. I thought I was going to break something laughing. OMG. I can't believe someone actually did the experiment. Bonus points for the interpretation of the results! And it's one, two, three / On the wrong side of the lee / What were you meant for? / What were you meant for? That's what THEY want you to think. The paper is a bit thin, not exaclty up to peer review publication standards. Though if they had taken the time to do that , it would have brought a whole new level of amusement to this "joke". We hope this report will encourage the paranoid community to develop improved helmet designs to avoid falling prey to these shortcomings. "If they're not gonna make a distinction between Muslims and violent extremists, then why should I take the time to distinguish between decent, fearful white people and racists?" ____ Me thinks that this is happening! There seems to be some debate about whether a tinfoil hat keeps the government out of your brain, or opens the door and welcomes them in. We must take our cue from that nice Mr Schrödinger - by wearing a tinfoil hat and not wearing a tinfoil hat at the same time! Um, did anyone else notice that a scientific paper ostensibly from an American university used the word 'Aluminium'? It's little mistakes like that that reveal the dark conspiracy beneath. /me smells an MI6 rat. They spell it right more often than they spell it wrong in the rest of the paper so I think it's just a couple typos. So for some reason I hit the linked references and found this which linked to to a hysterical rebuttal of the MIT findings.